The only Scania R 730 "Black Amber" prime mover in Australia has found its permanent home with Greg’s Meat Transport in Western Australia. 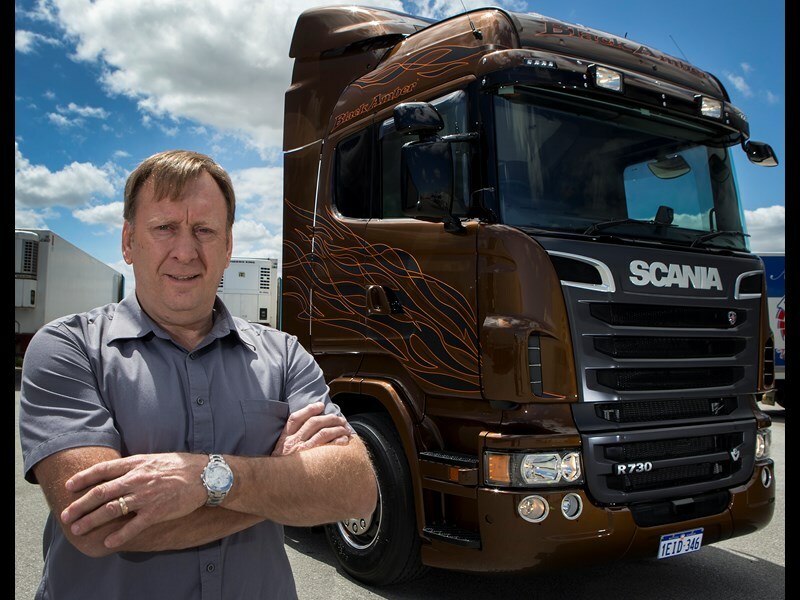 It was also at the Perth Truck Show in July and that’s where Greg Goodchild spotted it. Black Amber features include metallic paint, carbon fibre "flames", black and chrome wheels, perforated leather upholstery and special carpets. The list price of the R 730 was in the high $200,000’s. "We are getting excellent fuel from the truck, better performance than we expected," says Goodchild. Meanwhile the R 620 Black Amber has also found a new home in Perth, with Scania loyalist Express Freezer Transport. Find Scania R730 trucks for sale. 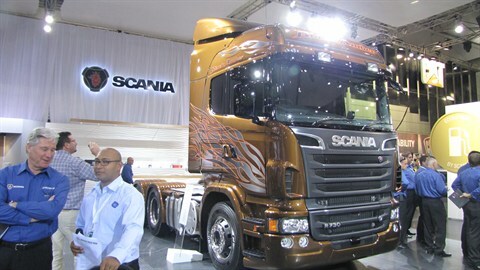 Search for new Scania R730 specs.